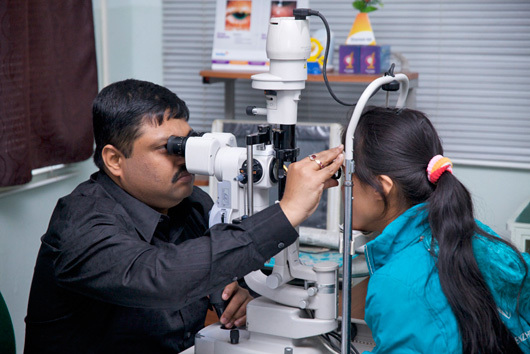 Based in Kalimpong, the Eye Centre opened in May 2004 to provide world class ophthalmic treatment and care. The Eye Centre’s Outreach Department conducts on-going cataract screenings of patients in poor and remote areas and vision checks of school children. Cataract patients from the Outreach programs are mobilised to the Eye Centre for free cataract surgeries and intra-ocular lens implants. Since the Centre opened, it has maintained a good ratio of 60% of free patients and 40% of paying patients based on their income levels. 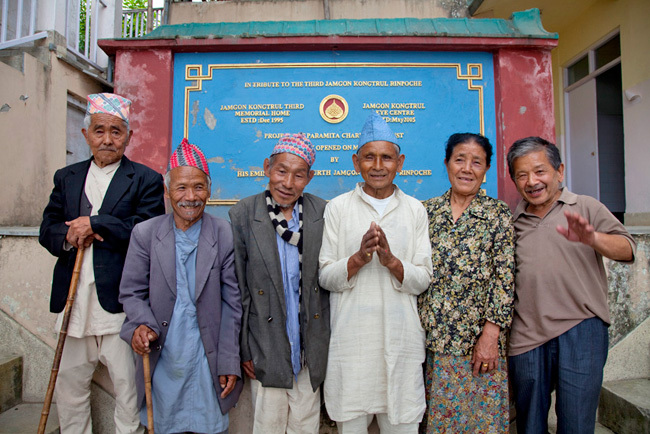 Under the technical direction and support of Nepal’s Tilganga Eye Centre and guided by its founder Opthalmologist, the eminent Dr. Sanduk Ruit, the Eye Centre is registered with the Health Department of West Bengal. The medical team comprises 2 ophthalmic surgeons, 4 ophthalmic assistants, 3 nurses, 2 vision technicians, 1 pharmacist, 1 optometrist and 2 general staff. 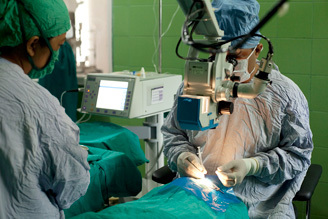 The major pieces of equipment are donated by the Himalayan Cataract Foundation of USA. Between its opening in 2004 until 2011, the Eye Centre has treated 69,201 out-patients and performed 2,187 cataract surgeries, 75 retinal surgical procedures, and 573 other eye procedures. The Centre’s Outreach Department has screened 50,863 people from various poor and remote villages. Among them, 3,247 have enjoyed free cataract surgeries and intra-ocular lens implants.